In October 2018 ITV’s ‘Good Morning Britain’ ran a debate entitled ‘Do People Hate Vegans?’. In November the vegan activist group Direct Action Everywhere staged a protest at a Brighton steakhouse, playing recordings of cows being killed. Passions were raised, with some diners booing and shouting in return. A spokesman from the group said: ‘Legality does not equal morality’. Also in November, the BBC reported that a farm in Bristol had cancelled its turkey auction ‘amid vegan outcry’. Though these incidents concern the morality of veganism, they reveal some broader truths about moral disputes. First, they are passionate. Second, they are annoyingly intractable: it can often seem that the two sides are moving further apart, into a state of mutual hatred. Putting aside the rights and wrongs of the particular issue of veganism, what might explain these general truths? Consider the intractability of moral disagreement first. One suggestion is that one side or other are simply not aware of the facts. Members of Direct Action Everywhere certainly think that by exposing diners to the facts about meat production, they might make different food choices. There is perhaps something in this, but this cannot be the whole explanation, since some meat-eaters are clearly aware of the process which brings their meat to the table. Another suggestion is that people are aware of the facts, but biased in interpreting them, perhaps suffering from some form of anthropomorphism or in-group bias. Still, it seems that even unbiased individuals, in full knowledge of the facts, can find themselves on opposites sides of moral disputes. But if moral disputes can outlast the facts, and their unbiased interpretation, what are they really about? Morality does not equal legality, but neither does it equal anything else. Morality is resolutely its own thing. This thought has been well-represented in the history of philosophy. Hume claimed that one cannot derive a moral ‘ought’ from a factual ‘is’. Much later this ‘Autonomy of Ethics’ was defended by Arthur Prior. In between, the Cambridge Philosopher George Edward Moore defined the ‘naturalistic fallacy’ as the fallacy of identifying the moral with the non-moral, and was quite rude about the various people (such as Herbert Spencer) he thought were guilty of it. 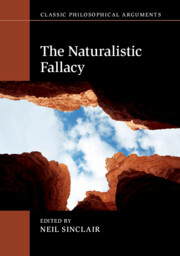 Moore’s explanation of why the naturalistic fallacy is a fallacy involves the thought that moral disputes concern a special type moral fact, completely distinct from other types of fact. Many take such a view to be a philosophical extravagance. An alternative explanation refers to the first feature of moral disputes noted above – their passionate nature. If moral disputes are disputes in the practical realm – disputes about how to act and feel – this might explain why matters of fact don’t settle them, since to describe the world is one thing, to react to it quite another. This is no mere academic matter. Trying to work out what exactly is at stake in disputes between vegans and meat-eaters may go some way to making those disputes more tractable and less polarised. In December the BBC also reported that Jordi Casamatjana had asked a tribunal to consider whether veganism counts as a ‘philosophical belief’ protected under the Equality Act 2010. This cuts to the core of the debate about the nature of ethics: what makes a position an ethical position? And in what sense are ethical beliefs different from other types of beliefs? These are the types of questions which Moore addressed, and which those who followed him continue to debate. – The place of the fallacy in Moore’s thought. – The textual basis for the fallacy, including the ways in which Moore’s texts have been misinterpreted. – The historical background to Moore’s charge of fallacy, including its relation to Hume’s distinction. – Whether evolutionary ethics can escape the charge of fallacy. – Whether theological ethics can escape the charge of fallacy. – How modern versions of naturalism and non-naturalism in ethics accommodate Moore’s insights. – The role of the naturalistic fallacy in epistemological debates. 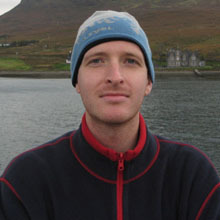 Moore is often taken to be the father of metaethics: the discipline which deals with the fundamental nature of ethics. The naturalistic fallacy is often taken to be the first substantial argumentative move within this discipline. To a large extent, to understand the fallacy is to understand metaethics. This book therefore serves not only as an introduction to Moore and the fallacy, but as a historical introduction to meta-ethics.